From exciting tours, day trips, staycation deals and adrenaline pumping adventures- our experiences cater to everyone from the young to the wild at heart. 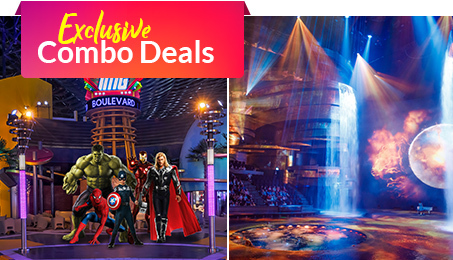 With discounted offers from exclusive destinations including Aquaventure, Dubai Parks & Resorts, Big Bus Tours and more- you will never run out of must-see attractions to explore, both local and beyond. 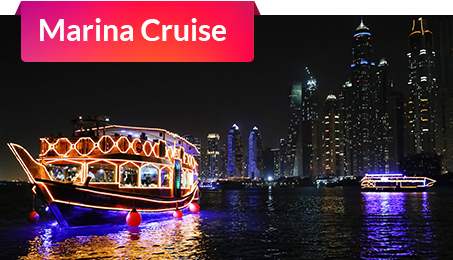 Get ready to enjoy unbelievable discounts on combo attractions- from exciting Ski Dubai, stunning Dubai & Abu Dhabi city tours, adventurous desert safari, relaxing Creek Cruise, or the iconic Ferrari World - we're taking you unforgettable places this April. Book your experiences & save today! Dubai is one of the ultramodern cities in the world today. The city has some modern architectural marvels to boast of. Out of these, the one that stands out the most is the Burj Khalifa. 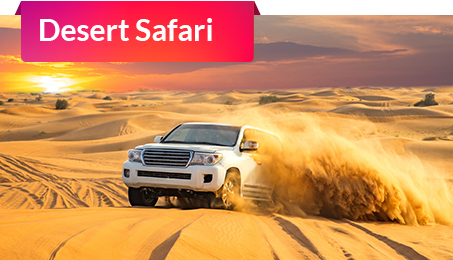 No trip to Dubai is complete without a desert safari! Explore the world-famous deserts with a fantastic dune drive. Great for photo opportunities, the unique activity is perfect for the daring and adventurous- book today! 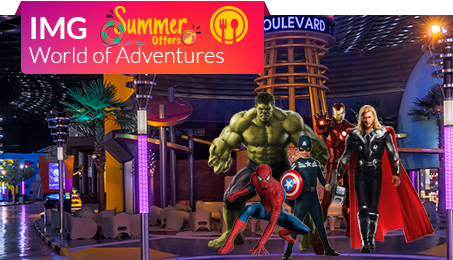 The worldâs largest indoor theme park, the Marvel, Cartoon Network, Lost Valley and IMG Boulevard themed zones are perfect family-friendly fun. Book now! Classy Marina is the heart of the city offering unique views of the skyline, lavish residences, and the buzzing nightlife. Enjoy red carpet treatment with warm hospitality and a relaxing ambience aboard the Marina cruise. Explore Musandam Dibba with its picturesque coastlines, mighty mountain ranges, and emerald green water. 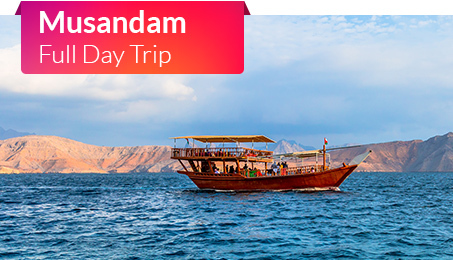 Cruise on a traditional Omani wooden dhow, enjoy the sunshine, beautiful scenery, and fantastic full day of hospitality. Get ready to have your heart racing at Ferrari World Abu Dhabi! 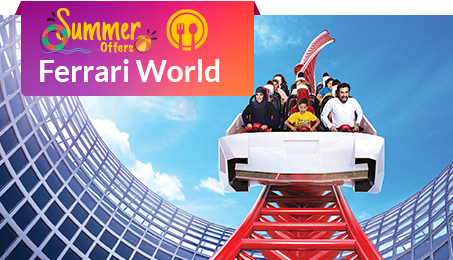 Experience the thrill of the Formula Rossa- the world's fastest roller coaster, tons of family-friendly attractions, and authentic Italian dining options! Yas Islandâs waterpark will transport you into another world where futuristic technology meets fun. Spanning over a vast area that is easily big enough to cover 15 football pitches, It has a huge range of rides, slides, and attractions. 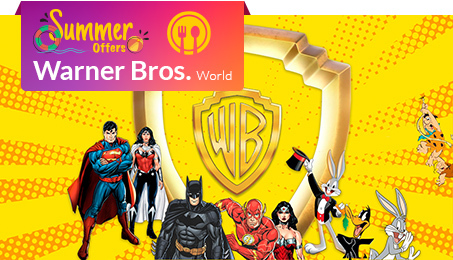 One of the latest and highly acclaimed additions to Abu Dhabi, the Warner Bros. Worldâ¢ is an exciting fully air-conditioned indoor theme park that is loved by locals and tourists alike. Build the memories of a lifetime with your favorite characters. 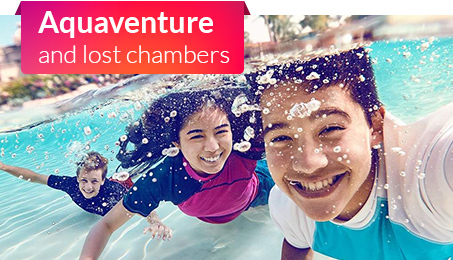 We're bringing you extraordinary savings to experience Aquaventure! 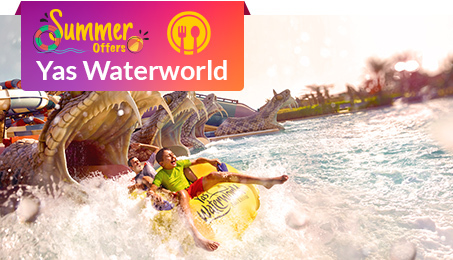 Atlantis's tropical water park promises endless thrill with high-speed slides, rolling rapids, swimming pools, kid-friendly splash areas and more! 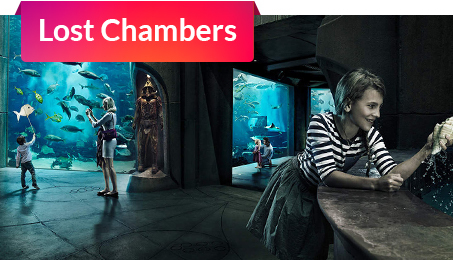 There's never been a better time to experience the fantastic Lost Chambers at the Atlantis. With Travelwings discounted offer, explore the largest aquarium in Middle-East and Africa with 65,000 marine animals! 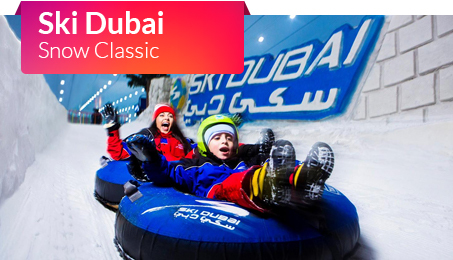 Unforgettable fun awaits your arrival at Ski Dubai- the first indoor ski resort in the Middle East. Abundant with snow, slopes, exhilarating activities, chairlifts, and penguins, you and your loved one enjoy entry at the snow paradise. 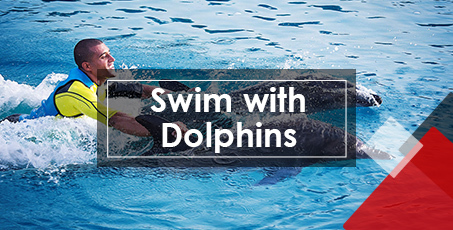 One of the most fun experiences that you will have in Dubai is swimming with the dolphins at Atlantis The Palm. The Dolphin Bay at the luxurious resort offers you an enjoyable and sophisticated experience for the whole family, at the natural habitat of the charming dolphins. 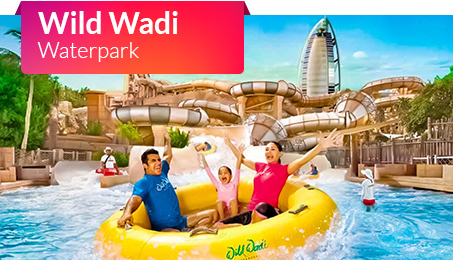 To spend a fun day with your entire family, head to Jumeirah and take a splash into the cool waters of Wild Wadi Water Park. In the shadow of the iconic Burj Al Arab, lies this water theme park that appeals to people of every age. With a wide range of fun rides and attractions, this is definitely the best in UAE. One of the most exciting experiences in Dubai is Dubai Parks and Resorts. 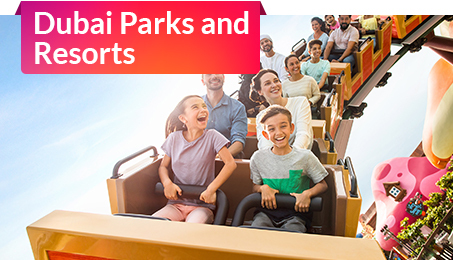 Dubai Parks and Resorts comprises of three theme parks and one waterpark, which have over 100 thrilling rides and attractions. Dubai is a wonderful combination of the old and new worlds. And one of the best ways to explore this city is the Big Bus Tour. 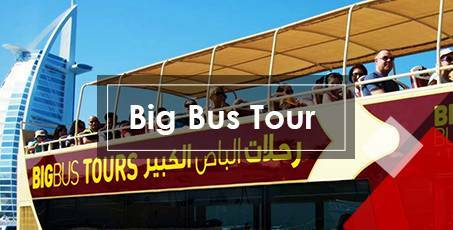 In this tour you get to see the city aboard a double-decker, hop-on hop-off bus. Abu Dhabi, United Arab Emirates' second city, is best explored by a Private City Tour. A private car and a guide tour will lead you through the beautiful city. Visit the spectacular Sheikh Zayed Grand Mosque. Considered as one of the largest mosques in the world, this place of worship is considered the most important in whole of UAE. 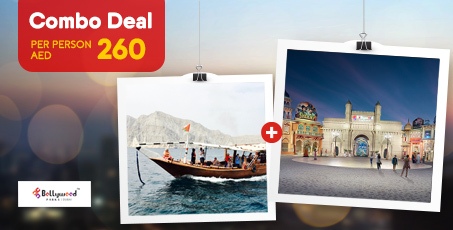 Discover twice the fun with the drama, action, romance, song and dance of the Bollywood Parks, paired with the strikingly beautiful coastline of Oman where Dibba is located; our combo lets you experience both the best tourist hotspots with an 85 AED saving so you only pay 260 AED per person!